Join us for a talk by Susan Rudnik, founder of Latimer Community Art Therapy. 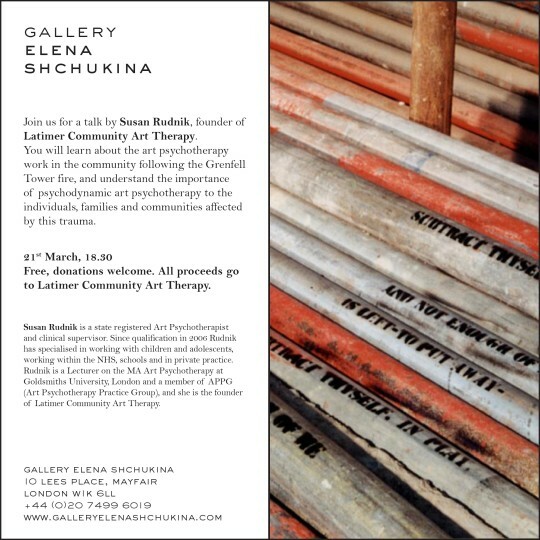 You will learn about the art psychotherapy work in the community following the Grenfell Tower fire, and understand the importance of psychodynamic art psychotherapy to the invidivuals, families and communities affected by this trauma. The event is free to attend, but donations are welcome. All proceeds will be donated to Latimer Community Art Therapy. Susan Rudnik is a state registered Art Psychotherapist and clinical supervisor. Since qualification in 2006 Rudnik has specialised in working with children and adolescents, working within the NHS, schools and in private practice. 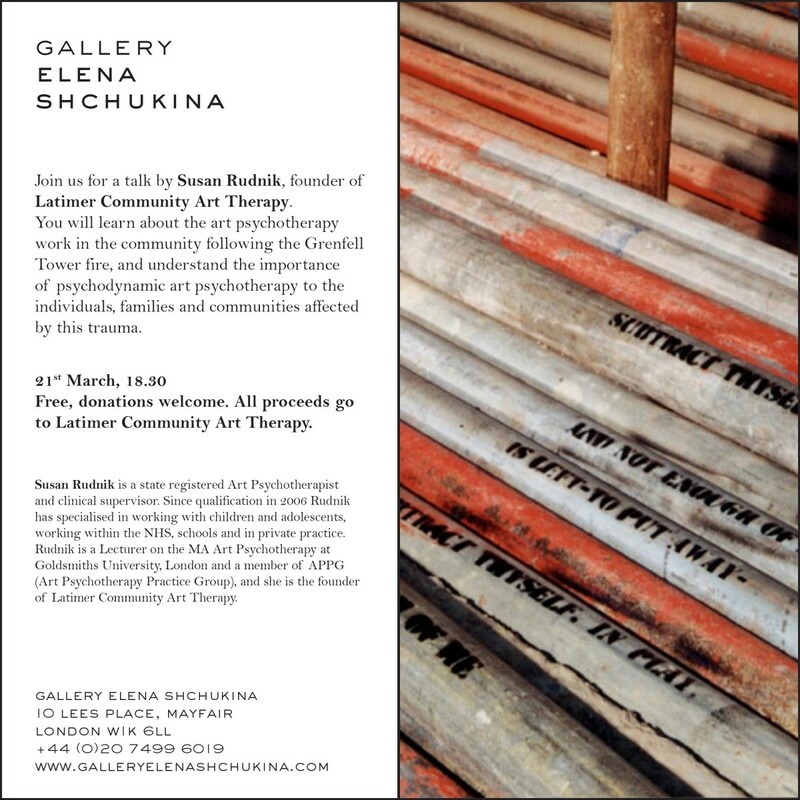 Rudnik is a Lecturer on the MA Art Psychotherapy at Goldsmiths University, London and a member of APPG (Art Psychotherapy Practice Group), and she is the founder of Latimer Community Art Therapy.